You may remember the news of a glass-bottomed bridge in Shiniuzhai National Goelogical Park cracking while tourists were taking in the views 3,500 feet in the air. It seems the incident has not scared engineers because there's another glass bridge on the scene—this one will dangle stretch 1,410 feet between two mountains in the Tianmenshan National Forest Park in Zhangjiajie, meaning it will be the longest glass bridge in the country once completed. Good news for anyone with a fear of heights: This one is only 984-feet about the valley floor—tiny compared to its 3,500-foot brother bridge. To reiterate and reassure, no one was hurt when the previously mentioned bridge cracked—in fact, it didn't present any true safety issues (though it was shut down for repairs because it's, you know, a bridge floating thousands of feet in the air). That being said. acrophobics still may want to steer clear of this newcomer. 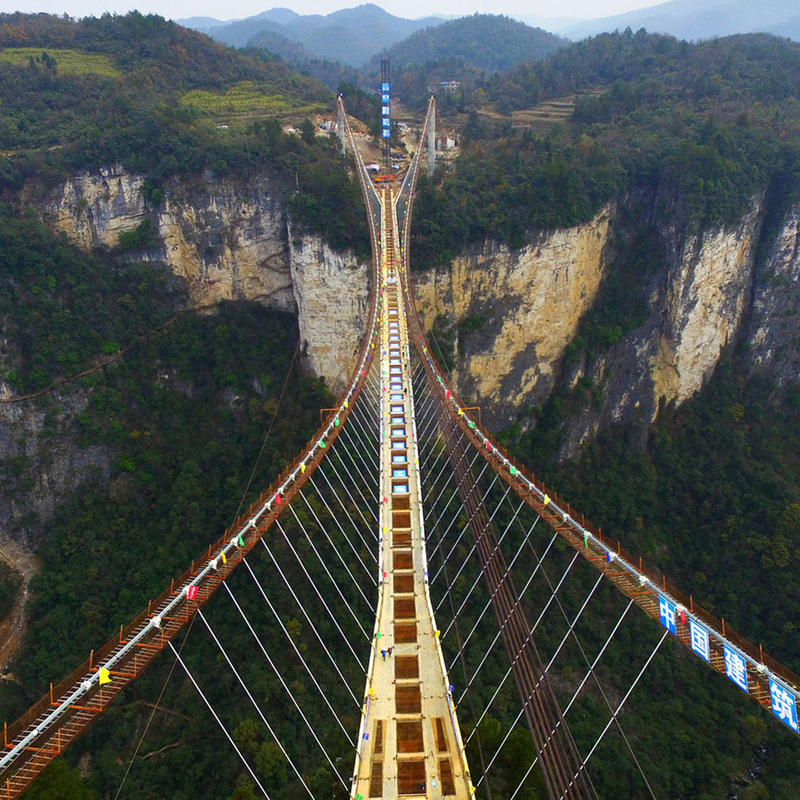 Thrill seekers: The Tianmenshan bridge is set to open up in June of 2016.